Today I'm sharing with you one of the most festive nail art creations I've done for Divine Caroline. 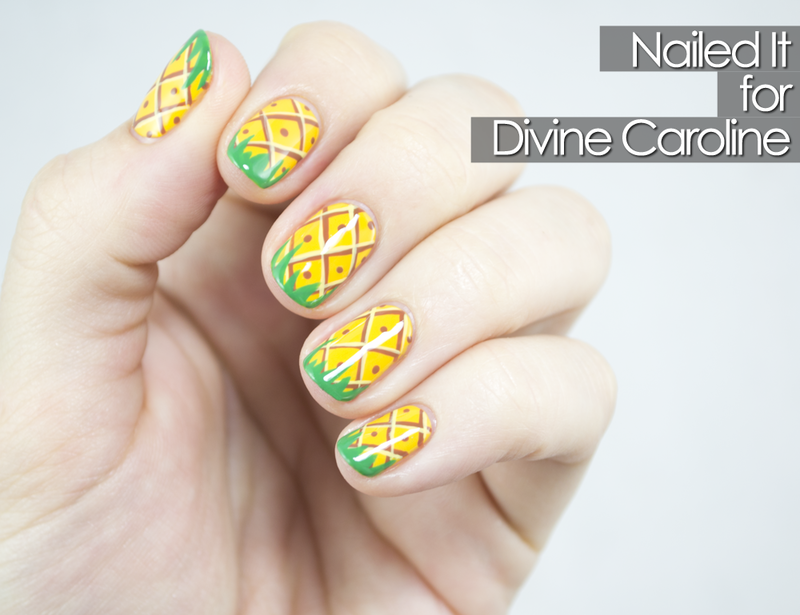 Summer's swinging by soon, so get pool party ready with daiquiri-ready pineapple nails! For the full tutorial, be sure to check out Divine Caroline here! These are too darn cute! Your nail design is fantastic!